You may read about what a CV is and how it looks in our article called Structured CV. You can read there about how to write a CV correctly. 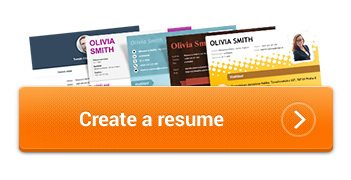 Or you may spare yourself the work and simply have your professional CV generated. Do you think that you have sent your CV to perhaps a thousand places but the reaction was always the same? You have not been accepted, or even worse – you have not even been invited to an interview? Excessive number of pages, that is, more than two pages, a hand-written CV, dirty paper, unsightly formatting… If your CV makes a repulsive first impression, believe me that the employer will not even try to find out what is actually written in it. Avoid using a photograph from your holidays, from a party, half-naked photographs, pictures of you with all your family, and the popular selfies. You see, your portrait is inevitably the first thing the HR worker notices of all the contents of your CV. If you don‘t have a photograph where you look natural and reputable, it’s better not to use any photographs at all. You don’t have to include data on the basis of which the HR worker could discriminate against you, though subconsciously. Don’t include the number of your children, your sexual preferences, religion or even your age. Your potential employer must not ask you such questions during the interview unless the nature of the job requires that the employer must get acquainted with such data. To provide you with a simple example: a man professing Islam could hardly become an Orthodox Priest. In other cases, your employer should not be interested in your religion at all. Write only your experience which is directly related to the job you are applying for. Moreover, describe the jobs you have done in general terms, using widespread names for the jobs on the basis of job description. An HR worker does not have time to select the relevant information from your CV. And by no means has he/she got the time to identify the internal names of the jobs you have done in your previous company. Therefore, try to facilitate his/her orientation in your professional life as much as you can. ... definitely avoid lies in your CV. They could theoretically open your way to an interview, but you will encounter a problem there. HR workers can quite easily verify whether the interesting information you say about you is true or not. However, the problem is that they are able to find out quite a lot about you without even inviting you for an interview. For instance through social networks where you have been carelessly sharing all possible and impossible things; or they may simply contact your previous employer. Have a look at our article called What Kind of People are not Likely to be Recruited by Companies and Bosses. Your mother tongue. Exert some effort on your CV in order for it to be perfect from the aspect of grammar as well. Unfortunately, bad mistakes have great power in making HR workers perceive such mistakes to the detriment of your impressive professional history. Those who are applying for a job in which they are directly expected to work with language and written communication should take special care about this. In such a case you may be weeded out even by a single grammar mistake. Nowadays, it is almost unnecessary to write your qualities. Day by day, HR workers meet tens of people who are loyal, willing to learn, flexible, trustworthy... However, if you really decide to include them in your CV, try not to look too conceited; on the other hand, don’t include any negative information about you. A CV is a grave affair. Don’t try to manifest your sense of humour in it. Moreover, if you don’t choose the style of humour the HR worker likes, the jokes included in your CV could be significantly counterproductive. A structured CV should be a brief but accurate recital of your professional life. You can write more detailed information in your motivation letter. You can read more about the motivation letter in our article called How to Write a Motivation Letter. Finally, check whether you have included correct contact details. If you have not, it would be quite a grotesque method of blocking your way to your dream job.